While South Dakota has relatively gun-friendly laws on the books, there are still a few laws you’ll have to keep in mind when purchasing firearms. Actually getting a handgun isn’t too big of a hassle in South Dakota, though there are some basic requirements that you’ll have to meet. Beyond those requirements, however, there is an additional application that has to be filled out when buying a handgun from a federally licensed firearms dealer (FFL). This application has to be filled out every time you want to buy a firearm, but only if you don’t have a carry permit. Of course, for those of you paying close attention, you’ll notice the application is only for buying from an FFL. If you decide to buy a handgun through a private sale, then you don’t have to worry about the application, and you can also skip the background check as well! Talk about a twofer! However, we’re not done yet! There are situations where you are prohibited from owning a firearm, even if you meet all the other requirements above. If you’re under 21, you won’t be able to buy a handgun. But South Dakota has you covered! If you are 18 or older, you can own a handgun, if you purchase through a private seller. Even better though, if you are under 18 and can’t buy a pistol yet, there are still situations where you can have and use a handgun anyway. 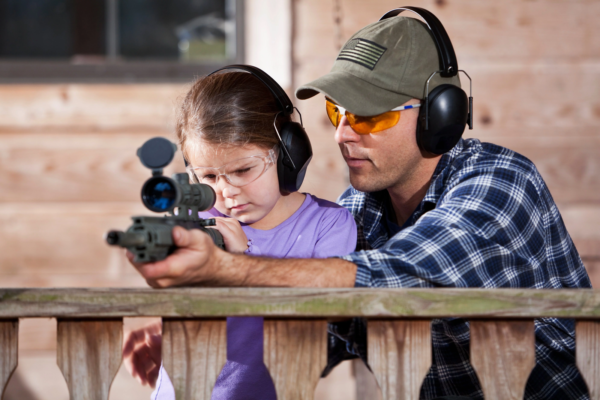 Using the pistol for farming, ranching, trapping, target shooting, or in a gun safety course. As nice as that shiny new 1911 is, you shouldn’t ignore the AR-15s and shotguns sitting on the shelf of your local gun store either! Unlike the process of buying a handgun, you do not have to fill out any applications to buy a long gun, regardless of whether you are purchasing from an FFL or a guy you met on Craigslist (you’re meeting him at the police station parking lot though, right?). If you do decide to buy a long gun through a private sale, you can still avoid the background check just like with a handgun, though. If you are interested in purchasing antique firearms, there’s some good news! 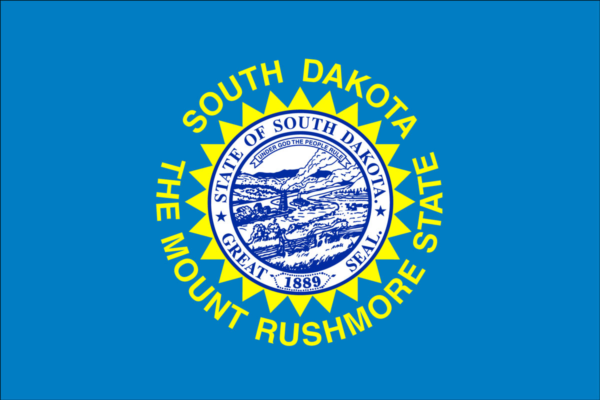 None of the firearms laws of South Dakota apply to antique firearms or firearms that have been permanently altered to be incapable of discharge. Though, to be fair, it just seems like a waste of money to buy something that can’t even shoot. They do look nice, I suppose. Before you rush off to buy an antique firearm though, you’ll need to make sure the gun you’re buying actually qualifies as one. Just because that 1911 the guy is selling belonged to his great-great-great grandfather, does not make it an antique! An antique firearm is any firearm, including a matchlock, flintlock, percussion cap, or similar type of ignition system, that was manufactured before 1899, or any replica of such a gun. The firearm cannot be designed or redesigned to use rimfire or conventional centerfire fixed ammunition, or can only use rimfire or centerfire fixed ammunition that is no longer manufactured in the US, and is not available through normal markets. Once you’ve got your shiny new toy, you’ll probably want to show it off. Luckily for you, South Dakota allows for open carry, so you can keep that handgun in your holster while you run errands around town. Or have the AR strapped to your back. Whatever floats your boat. If you want to carry concealed, however, that is a different issue. You will need a CCW permit in order to carry concealed in the state, unless you are carrying on your own property or business, or property that is rented or owned by members of your household. What you do on your property is your own business. America! Carrying concealed outside of those situations, though, will require a permit. For those of you interested in finding out more about the permit and the application process, hop on over to our South Dakota CCW section after we wrap up here, to find out everything you need to know, including the additional laws you’ll want to keep in mind when carrying concealed. When you’re on the road with your precious cargo, you’ll have to make sure your firearms are kept in a certain way in order to avoid any hassles with the law. If you do not have a carry permit, you cannot keep your handgun on you, and it definitely cannot be loaded. Without a permit, you must keep your unloaded handgun in the trunk or a closed compartment of the vehicle, or in a closed container that is too big to be concealed on you or in your clothing. Long guns do not have to be kept in a closed compartment, but your best bet is probably to have it secured in some way just in case. You never know when you may have to hit the brakes, and the last thing you’ll want is to worry about your AR flying through the windshield when that happens. Whenever you want! Or, you know, at the range or hunting or something. The point of our firearms is to protect ourselves and our freedom, so South Dakota has adopted laws that permit the use of deadly force to do just that. 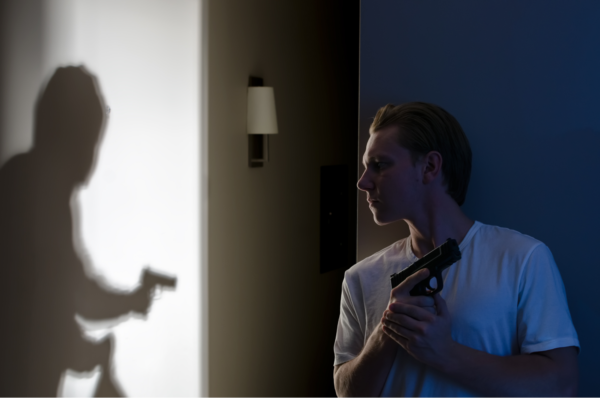 Under what is commonly known as the “Castle Doctrine”, you can use deadly force to defend yourself and others when you are in your home, aka your “castle”. If you reasonably believe the use of deadly force is necessary to prevent or stop another person from committing a felony or causing great personal injury or danger to yourself or your immediately family, then you are justified in using that deadly force. Just because you can defend yourself and your home, does not mean you can set traps for the bad guys. It is illegal to set a device designed to activate a weapon upon being tripped or approached, and leave it unmarked or unattended. This isn’t Home Alone, and you’re not Macaulay Culkin! Because you might not always be at home when you come across a threat to yourself or your family, the state also allows you to use deadly force outside the home as well. If you are somewhere you have a right to be (i.e. a restaurant, or a sporting event), then you do not have a duty to retreat before using deadly force to defend yourself or others against a felony, great personal injury, or imminent danger, as long as you reasonably believe the deadly force is necessary for self-defense. And with that, we’re done! You now know everything there is to know about gun laws in the Mount Rushmore State! Well, except for the carry laws. But we’ve got got you covered with our South Dakota CCW section, so go check it out! If you don’t need to know about the carry permit laws just yet, that’s ok too. You can work on your gun collection instead! You might want a nice safe to keep all your new toys though. A sturdy safe can also keep your guns from prying eyes and curious kids.